Welcome to the Family Ministries Centennial Celebration Resource Center. Please make plans to join the World Church in celebrating this important milestone in our ministry. Family Ministries has been making vital contributions to strengthening families in and out of the Seventh-day Adventist Church around the world for 100 years. Below is a summary of those who have given leadership to this important area of church life over the past century. Family Ministries present directors Willie and Elaine Oliver along with former directors Ron and Karen Flowers revisit the history of the department. 1. 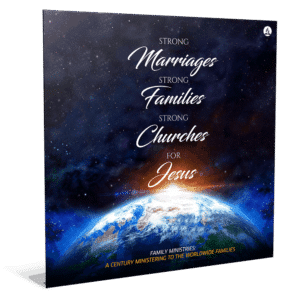 Celebrate the two Family emphasis weeks in 2019: Christian Home and Marriage Week in February and Family Togetherness Week in September. Download the ads for these special dates. 2. 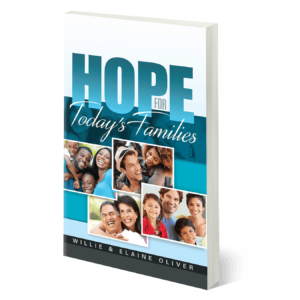 Plan to get your entire congregation to participate in the distribution of the World Missionary Book for 2019 Hope for Today’s Families during the two special weeks of Family emphasis, or during some other date in 2019 if the dates in February or September don’t work well for your congregation. Learn more about the Missionary Book for 2019 here. 3. 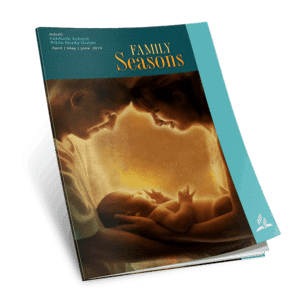 Promote the study of the second quarter’s Adult Bible Study Guide, Family Seasons, which is on developing and supporting stronger and healthier families and relationships. 4. Honor a couple, person or family in your congregation that has made a big difference in helping to develop stronger and healthier families in your local church and/or community. 5. Have a special banquet/dinner either on a Saturday evening in February or in September to celebrate 100 years of Family Ministries in the Seventh-day Adventist Church. 6. Use the PDF file of the brochure with the history of Family Ministries (Click here to download). 7. Use the PDF file of our centennial logo to advertise and promote the centennial celebration (Click here to download). 8. Use the 2019 Planbook, which has sermons, seminars and other family strengthening resources for the centennial celebration (Click here to go to Planbook section). 9. Lead out or participate in a Total Member Involvement (Total Family Involvement) family evangelism project in 2019. 10. Be kind, be patient, be forgiving in all of your relationships. Below you will find the brochure in PDF file ready for distribution. It is also available as a document ready for translation. Please use the Centennial logo to promote the celebration in your field and local church. We are going to be documenting centennial celebrations around the world. When there is a Family Ministries event in your field or local church please send us a few pictures of your event. Send the date, location, name of your church, union and division. Attach a maximum of five pictures.